Andrews, Henry C. The Bushy Whortle-berry. The Bushy Whortle-berry of the United States. 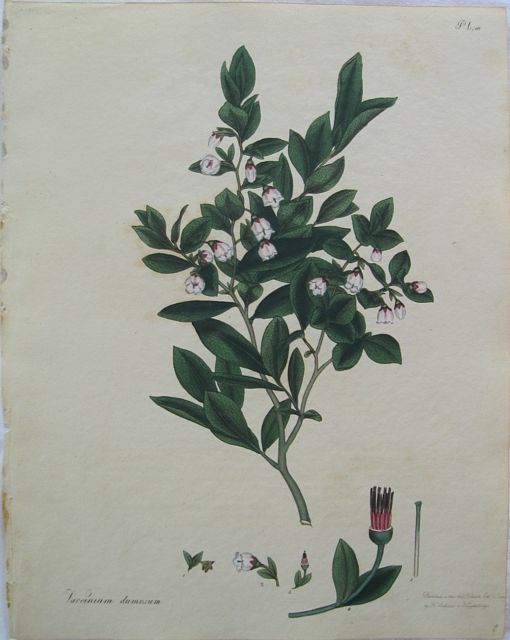 Original coloured engraving of the Bushy Whortle-berry from Henry Andrew's " The Botanist's Repository, for New, and Rare Plants" .dated 1800. The plate shows the Bushy Whortle-berry.a native of the United States Printed in black and coloured by hand by Andrews.